A few weeks ago we celebrated our son’s second birthday. 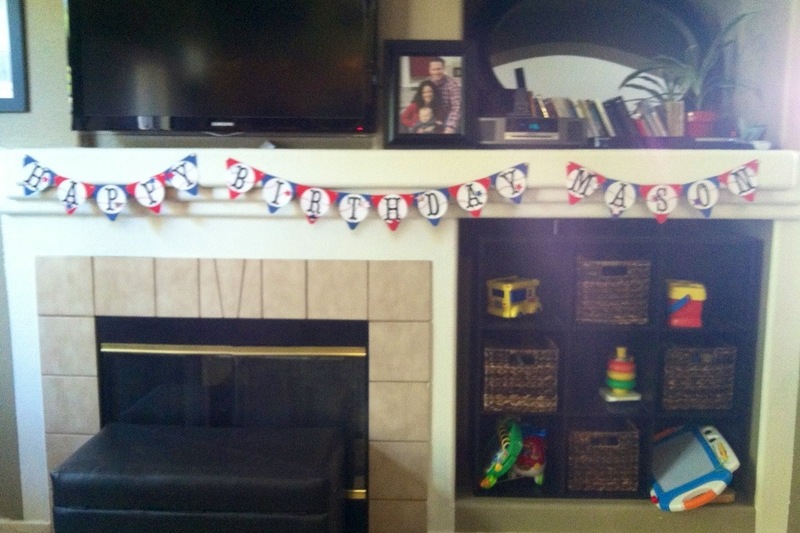 My husband and I decided on a baseball theme for his birthday party and agreed we wouldn’t make it as over the top as his first birthday bash with sixty-plus guests. We decided on having an all-American-baseball-barbecue theme for the party, thinking it would be easy and inexpensive. The party was relatively inexpensive, considering there were thirty-five guests, but it’s never easy entertaining, planning, and feeding that many people! 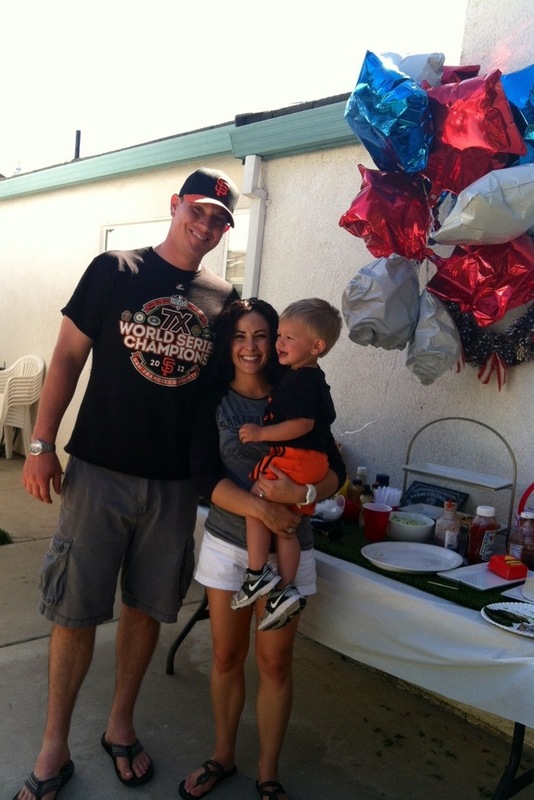 A month or so before the party, my mom, husband, and I chased my son around our backyard trying to get the perfect picture of him in his SF Giants gear and it was a challenge. I feel like kids are like animals and sense your desperation/fear and are uncooperative on purpose when you have the camera out! After about fifty pictures and my son throwing his baseball cap on the ground and crying, I stopped snapping pictures! That night, I stayed up late and made invitations on tiny prints.com and ended up getting thirty-five double-sided photo-personalized invitations with envelopes and free shipping for $30! 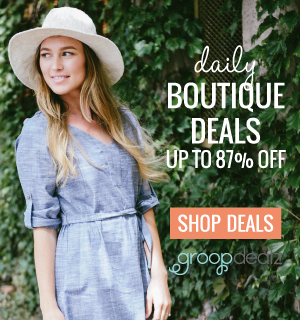 I was asked by Tiny Prints to remove the link to their site, it’s their loss. I will admit I could have gotten cheaper photo invitations through Costco’s photo center or Walmart, but I am picky and didn’t like any of their baseball themed invitations! In my opinion, food is what makes a party, besides great guests! My biggest fears whenever I have small or large gatherings is running out of food and not having lots of options for my guests. I am a people pleaser and want everyone to leave happy and stuffed! 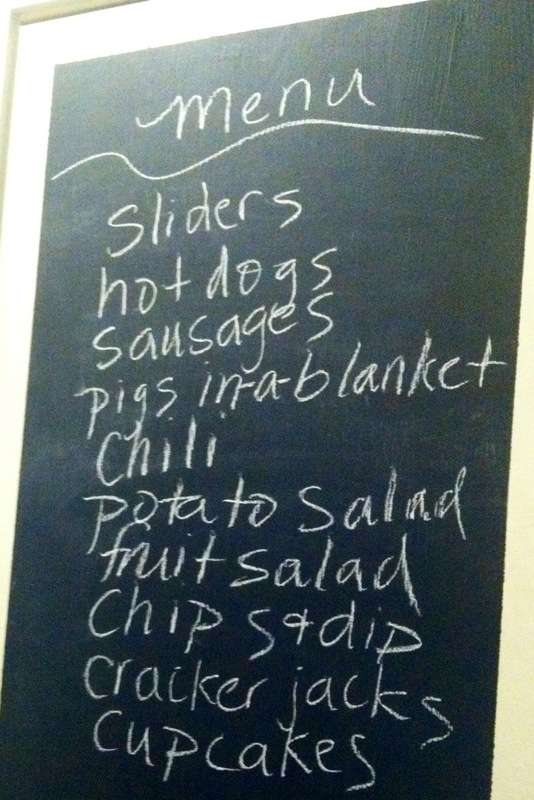 This was the menu we decided on for the party. I wanted to have a variety, but I also wanted to have foods that toddlers and young children would eat and enjoy. I ended up also having applesauce pouches, yogurt covered raisins, and fruit snacks for the little kids. 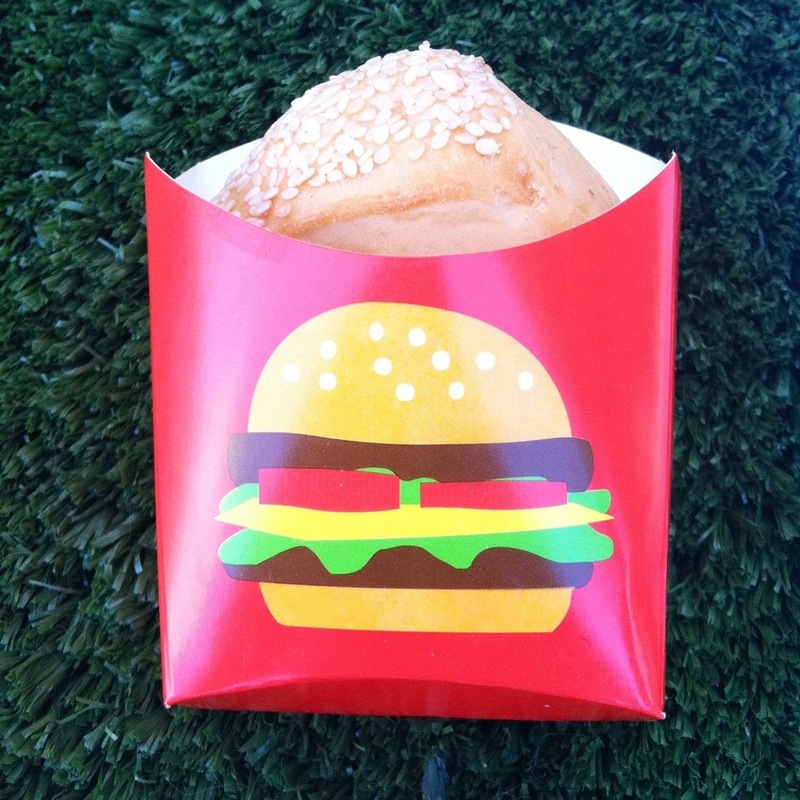 I saw these adorable cardboard hamburger containers at Target in the dollar bins and bought them a few weeks before the party. 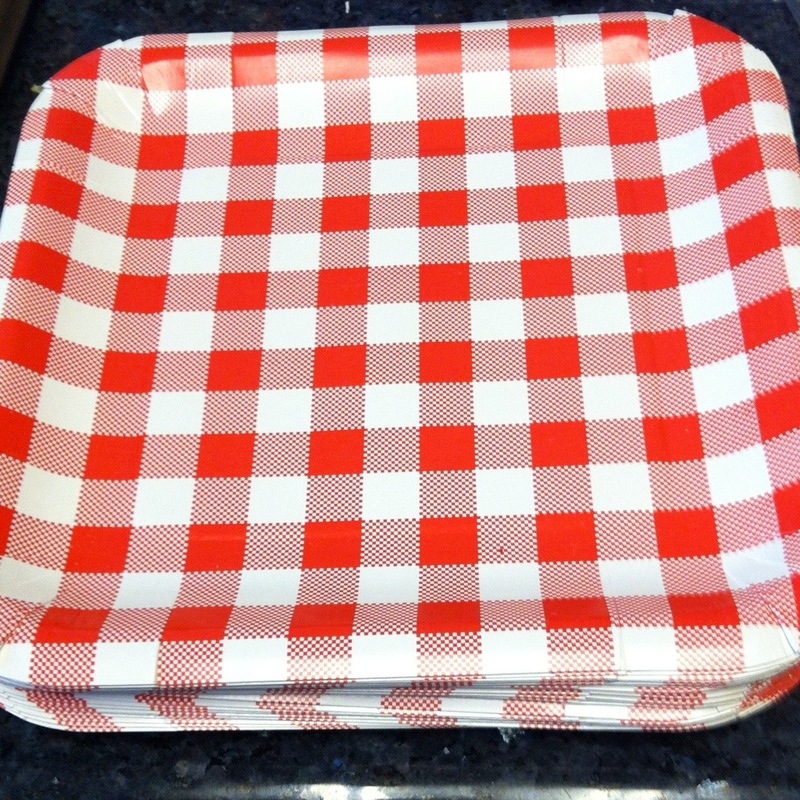 I also bought hotdog trays from Target that were in the dollar bins, but failed to take a picture of them! The sliders were a big hit, but a tedious task the night before. Mix all ingredients well. Make two-inch patties and flatten as much as possible. If making ahead, place on wax paper before refrigerating. Grill for 5 minutes for medium burgers. Add your favorite garnishes and condiments. 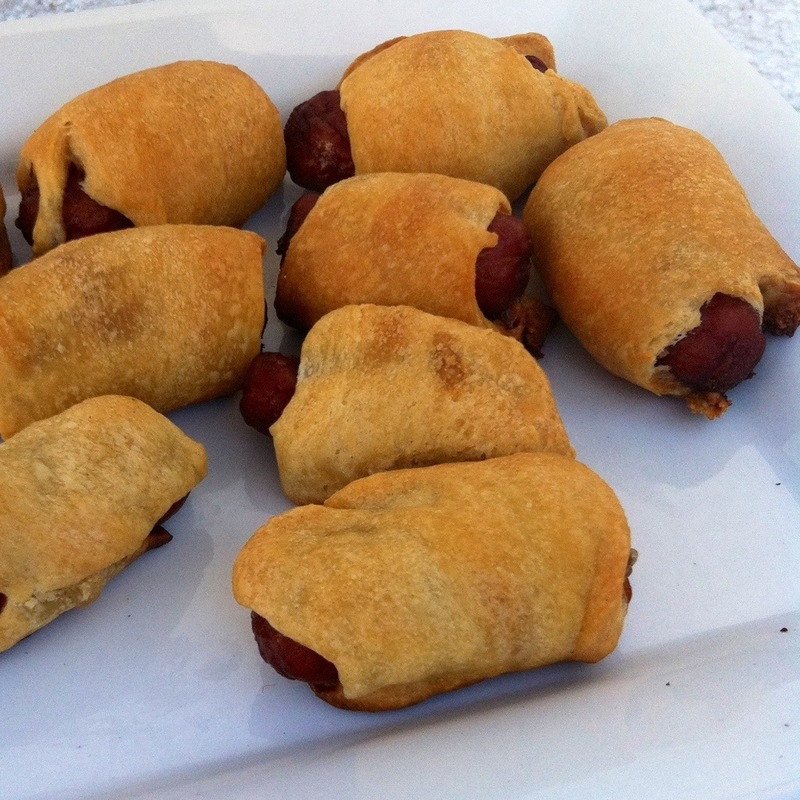 Mini pigs-in-a-blanket were one of the appetizers I made. I used cocktail sausages and crescent rolls to make these. I made them the night before, then baked them at 375 degrees for 15 minutes the day of the party. I used two packages of cocktail sausages and three packages of crescent rolls. All of them were gone by the end of the party! My plan had been to give all of the children a balloon when they left the party. 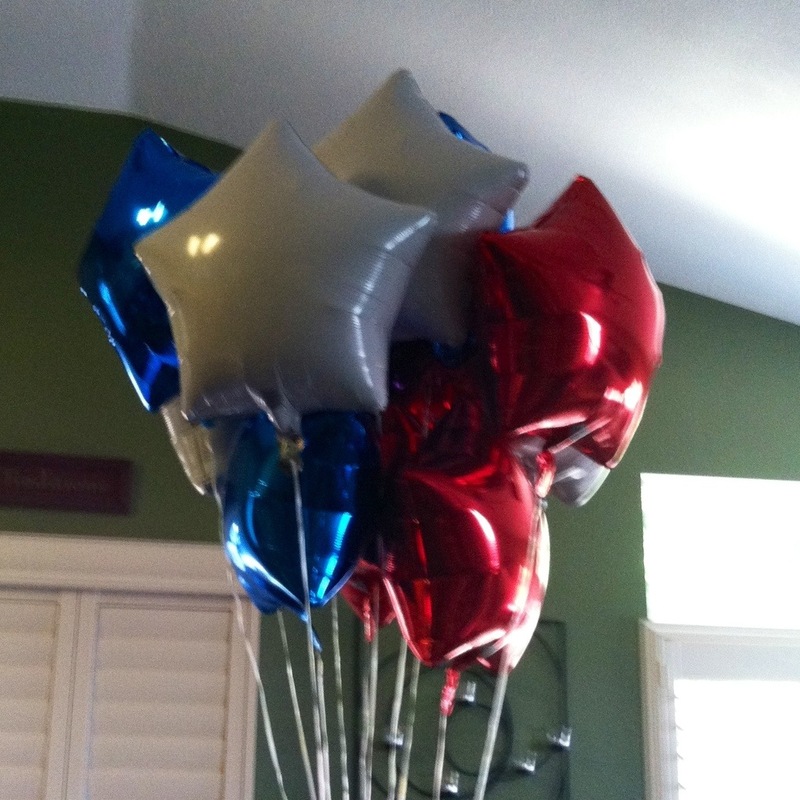 You can get mylar balloons from the Dollar Store! However, DO NOT put bunches of balloons outdoors when it is windy! They were a tangled mess by the end of the party! 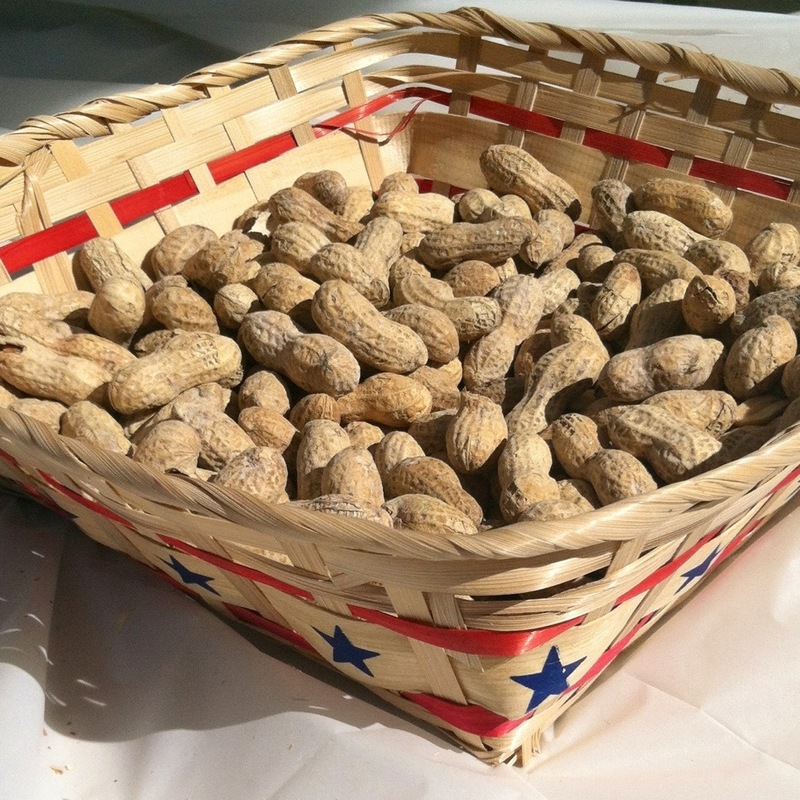 I bought these adorable baskets at the Dollar Store and filled them with roasted peanuts and set them on the tables. We had several canopies set up in our backyard and six-foot long tables and chairs for our guests. We are fortunate to have awesome next-door neighbors that let us borrow their canopies, chairs, and tables. 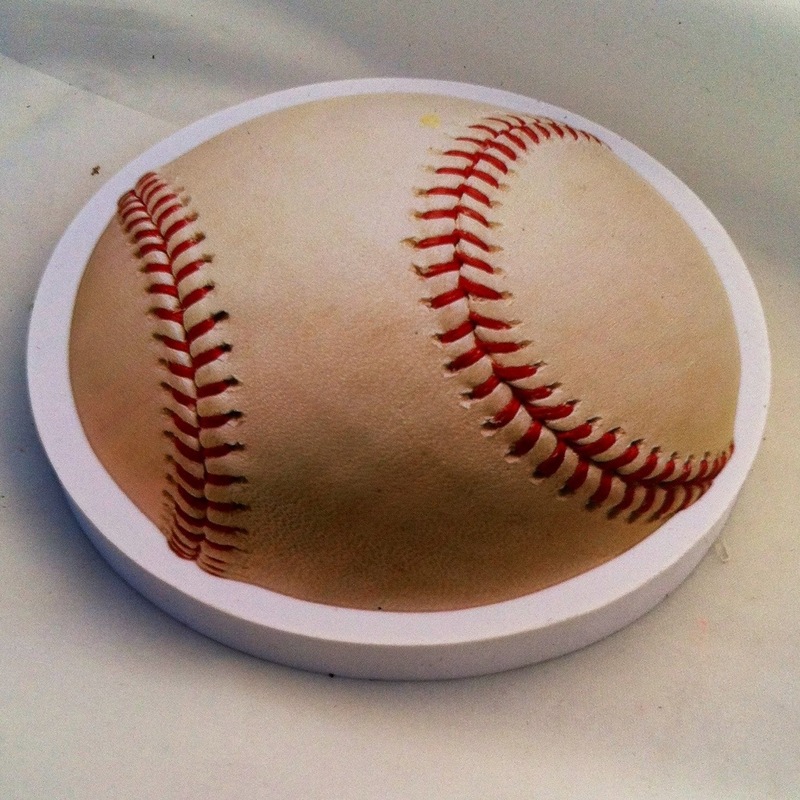 We’ve had backyard parties before and it tends to be breezy, if not windy where we live, so I bought these oversized baseball erasers in the Target dollar bins and used them as table weights to keep the plastic table cloths on the tables. 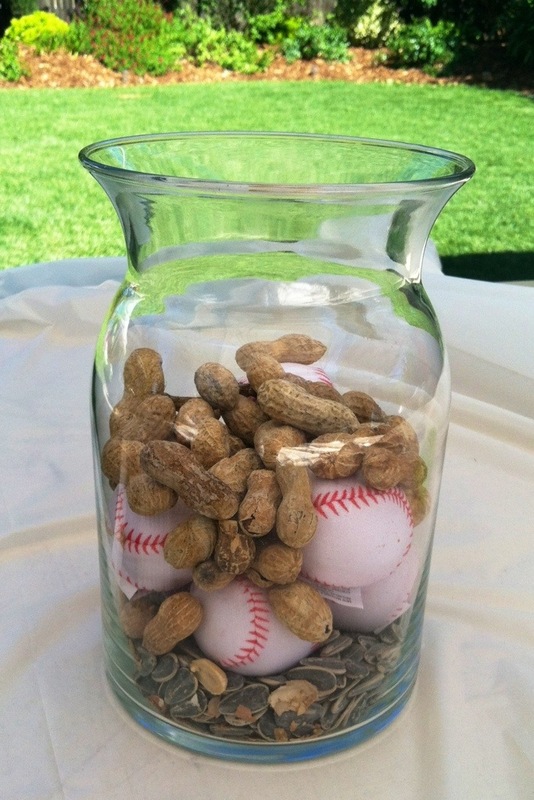 I made centerpieces using vases and glass containers I already had and filled them with sunflower seeds, peanuts, and dollar store soft baseballs that were five for $1. I made five of these centerpieces and now my son plays with the little baseballs in his water table in the backyard! I attempted to stick with the Americana-barbecue theme and found these plates at the dollar store as well. I think they came in packages of 20. 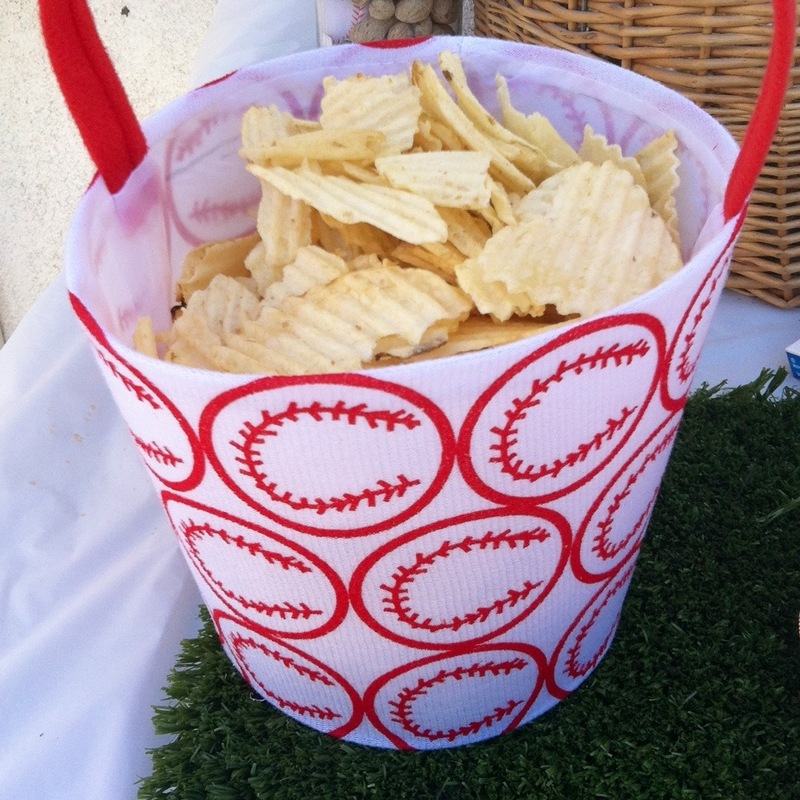 I served snacks and chips out of these dollar store baseball Easter baskets. I set up a buffet outside and had a strip of turf or artificial grass as a runner on the table. 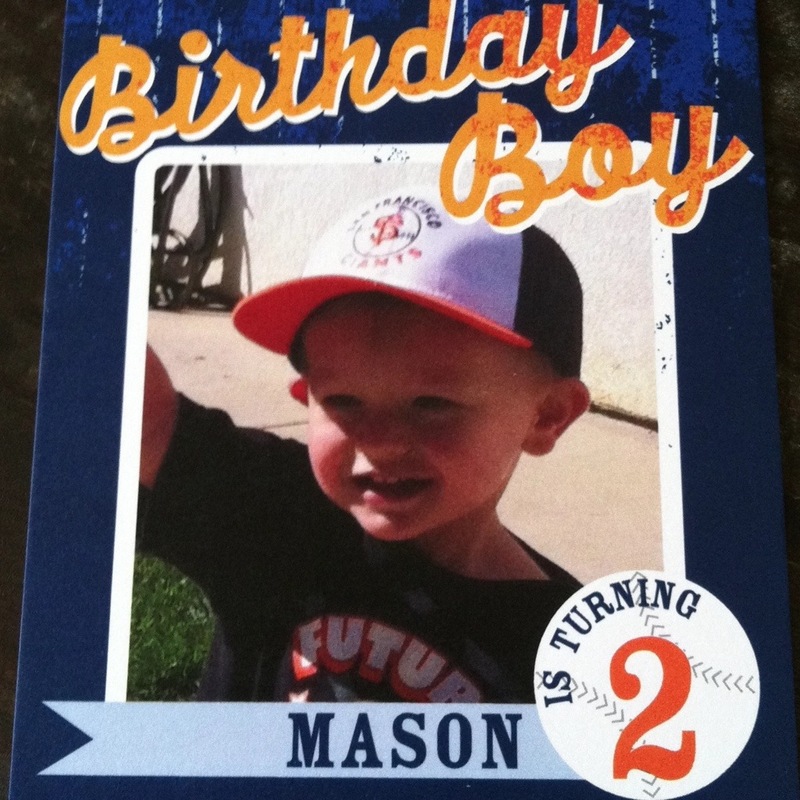 My son’s daycare provider gave him this adorable personalized baseball chalkboard sign for his birthday. It was displayed on the buffet. I now have it hanging in his bedroom. I hung this wreath in the backyard. I made it last year for our Fourth of July party. It was super easy and cost $5 to make. 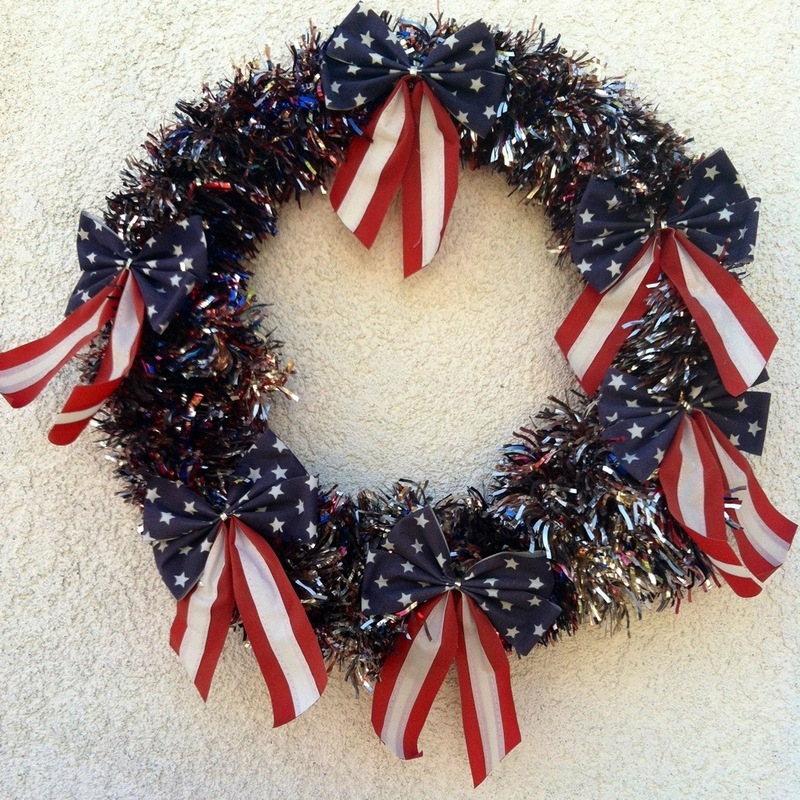 Everything is from the Dollar Store – the wreath form, patriotic garland, and the bows. I just wrapped the garland around the wreath and then tied the bows around the wreath! The birthday boy had enough at this point! He had missed his nap and did not want his picture taken. I had a friend from work make cupcakes, because I just didn’t have the time. I love how she put them in the shape of a mitt! These were regular sized cupcakes. 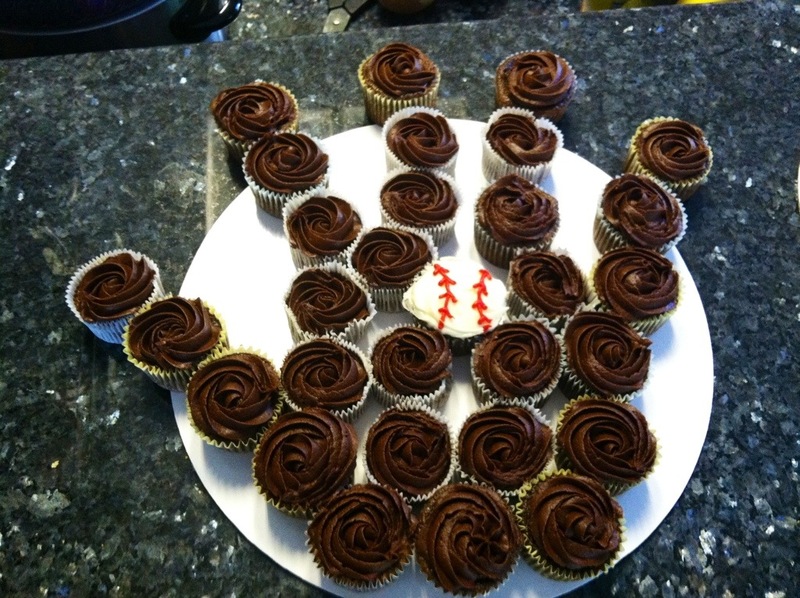 She also made mini baseball cupcakes! The kids and adults alike loved them! My mom makes the best homemade cracker jacks! 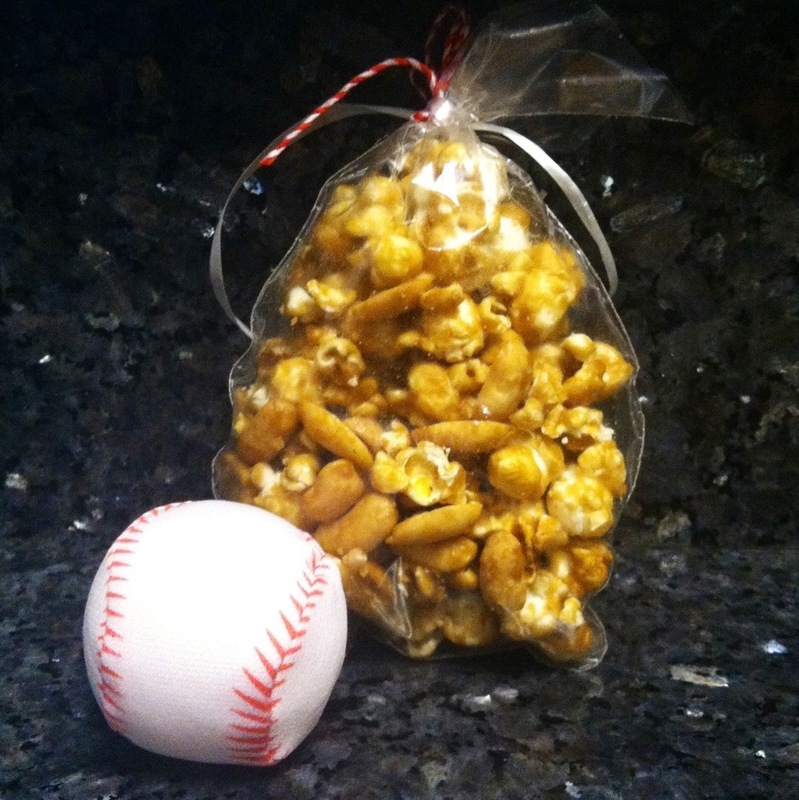 I don’t have her recipe, but here are a gazillion cracker jacks recipes from Pinterest. This was our party favor. The kids would have gotten balloons too, but we also learned that balloons and stucco don’t mix! Most were deflated by the end of the party! I bought plastic goody bags at Walmart, 100 for $2.99 and a spool of twine for $1. One of my fabulous friends has an incredibly crafty sister that made this awesome banner! 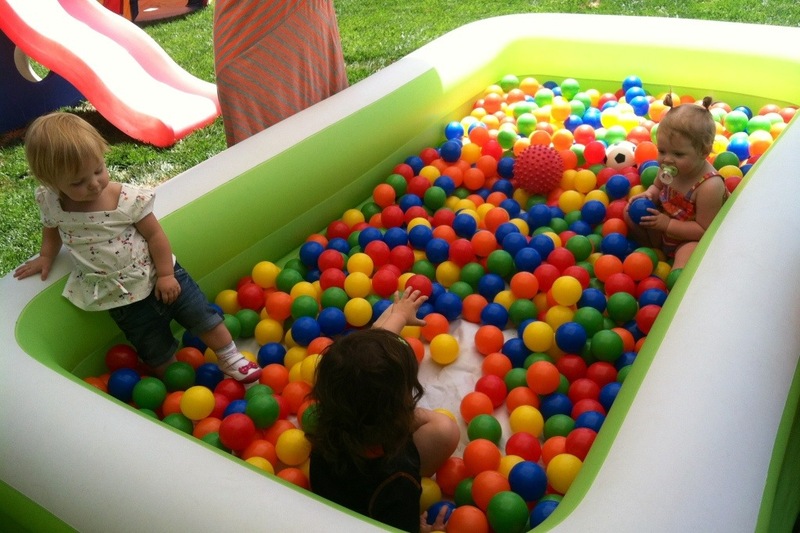 My same awesome friend had a ball pit at her daughter’s first birthday and we borrowed their balls for our party! 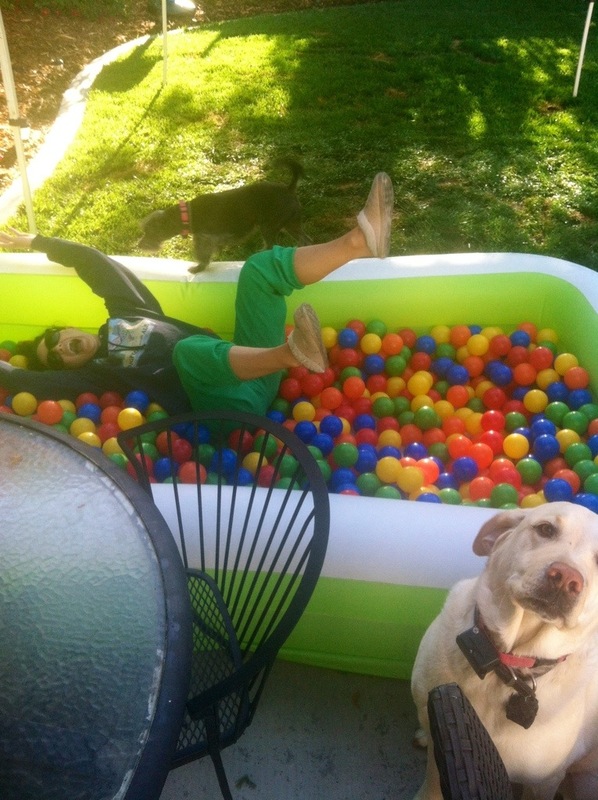 We had a large blow-up wading pool and just dumped the balls in. I am not sure how many balls we had but I found a website where you can buy 100 balls for $29.95. Kids of all ages loved the ball pit! 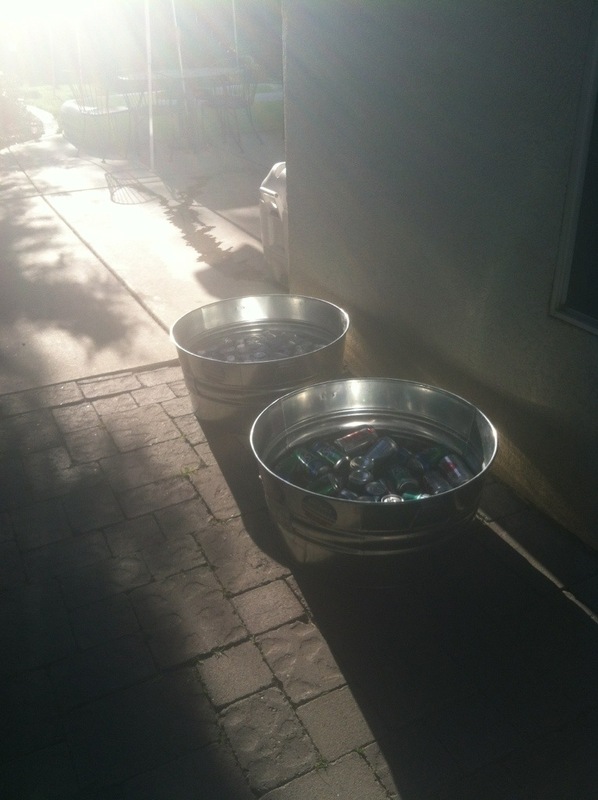 We had beverage tubs and ice chests for drinks. We served the mini 8oz waters from Costco, soda, and lots of ice-cold beer! This was me the morning after the birthday party! My little dog Roger is checking to make sure I am okay and Hank, our lab is posing! Hosting a party is a lot of fun, but it is a lot of work. I couldn’t have done it without the help and support of all of my fabulous family and friends. 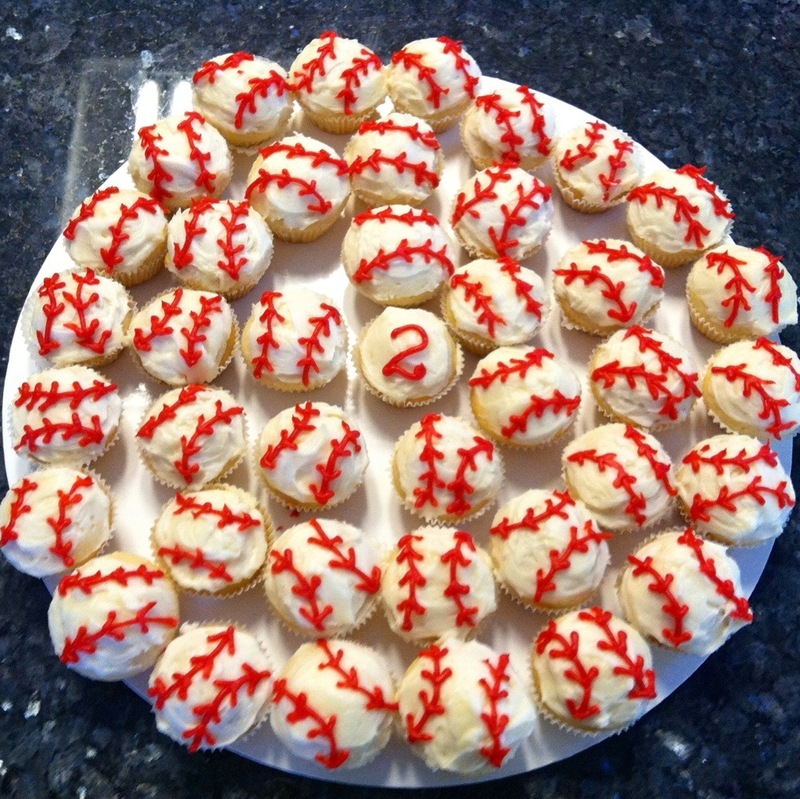 I hope this post gave you some ideas for your next baseball party! Very cute party, Kari! 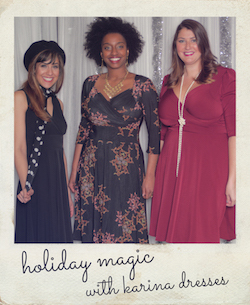 Such a fun theme! Thanks Laura! I wish I would have taken more pictures and been able to socialize more at the party. I think that is the downside to hosting anything! Thank you! I couldn’t have done it without all of my fabulous friends help! Happy belated birthday to your son! It’s amazing what you organised, looks so so great, I bet he absolutely loved it!!! Thanks girl! I think he had a good time! I had a lot if help and ideas from Pinterest.